One thing that impresses me about my yoga teacher, Erica, is how, after we move into that final, fetal position, she always talks about how to use our practice in our busy lives. “The goal is to take the way you feel right now out into the world,” she might say, so that when we get overwhelmed we can call that feeling up and get back into a quiet place mentally and emotionally. We bow to each other at the end of practice, and return to the hectic pace of our “normal” lives like infants tugged from the womb into the cold harsh world against which we have no defenses. Another time she said, “It’s a fact that the bad things that happen to us are like missiles that travel further than the good things. And that’s okay, because that’s the body trying to protect us from danger. But we need to bring our mind to reassure the body that it’s going to be okay. And that takes practice.” I was stunned, since this exactly explained the pain of a friend of mine who pretty much had been mentally abused by some professors when she was studying for her PhD and has had great difficulty with her writing process ever since, because those years taught her self-doubt to a crippling degree. I repeated the words to myself silently so that I could share them with her. At first I was surprised by the deep wisdom of a woman who is only maybe twenty-eight years old. Then I remembered some things I had said at that age, advice I’d given friends, unexpected insights that I blurted out in my grad school classes. Wisdom is often a byproduct of age, but there is nothing to say that it cannot also be a byproduct of the freshness of youth. Knowing the poetry of long, patient practice. The problem is that the first part starts so far away from the second part, which is the whole point of the poem. 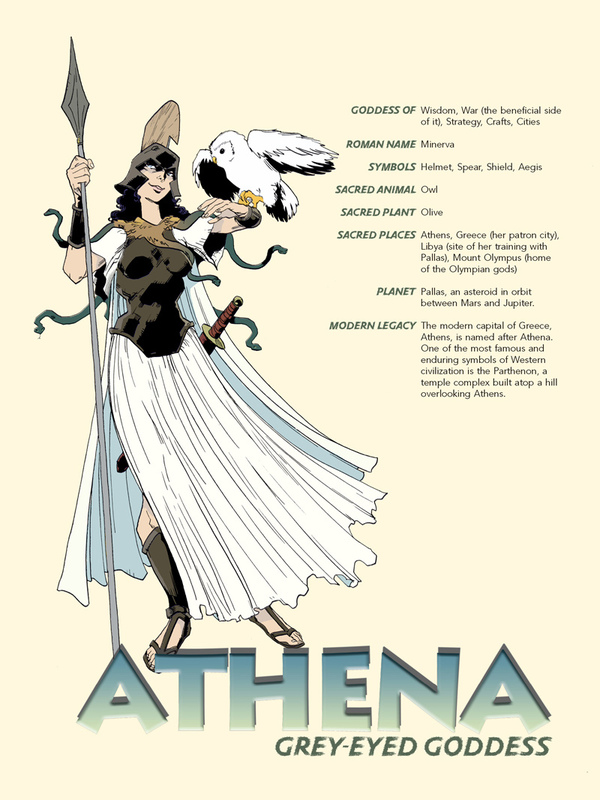 Erica’s tan skin and grey eyes and her powerful Warrior Two posture reminded me of Athena, who Homer always called the grey-eyed goddess. And since my second Masters degree is in Christian theology, I thought I had to start from the God I actually believe in before I could start talking about a Goddess I think is really cool and strong. And although the imagery in the second stanza works, it just seems weird to go from Hebrew to Egyptian to Greek religion just to talk about an Italian American teacher of an Indian practice! I was pushing it, trying to force the connection. Note to self: that almost never works. This entry was posted in Uncategorized and tagged Athena, muses, religion, yoga.